Breakthrough formulas to visibly firm, lift and tighten for a more youthful look. 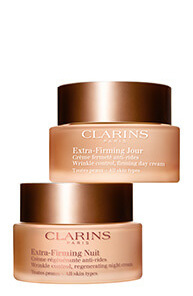 CIarins’ advanced wrinkle-fighting formulas promote skin suppleness at its source for visibly firmer, smoother, more renewed skin day after day. 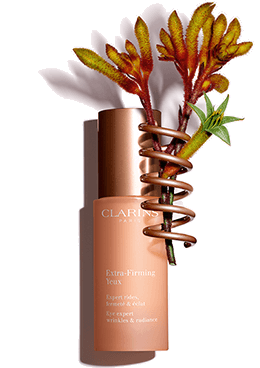 Extra-Firming formulas are packed with powerful plant extracts that visibly tighten and lift skin to smooth the look of wrinkles. Visibly boosts elasticity and firmness. 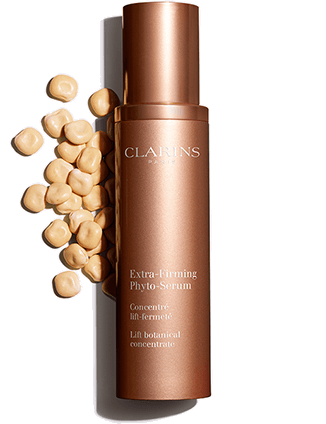 Boosts skin’s regeneration for visibly firmer, youthful-looking skin. This groundbreaking, 2-in-1 anti-aging eye balm minimizes the look of wrinkles, dark circles and puffiness for youthful, brighter-looking eyes. Mitracarpus and Kangaroo Flower extracts visibly firm, lift, and fight wrinkles. Targets dark circles and puffiness for brighter-looking eyes. 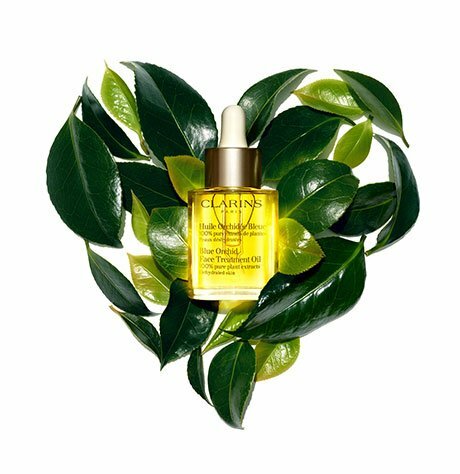 Our breakthrough, power lift serum visibly firms, lifts and tightens slackened skin to help visibly redefine facial contours, with results you can see after first use. Together form a supportive mesh on the skin’s surface, for an immediate lift effect. 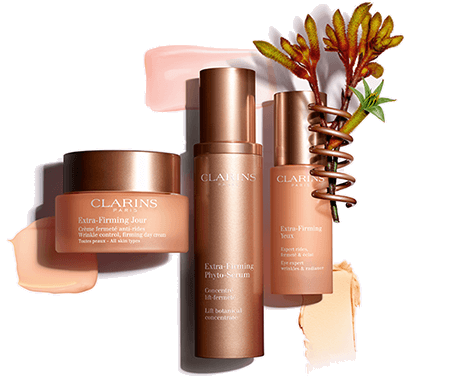 Clarins’ newest plant discovery visibly tightens the skin for redefined facial contours.